You’re bound to get a tad thirsty while trekking to the ancient Incan city of Machu Picchu, so it’s important to know how to celebrate after! The national drink of Peru is the Pisco Sour, an irresistible alcoholic cocktail with a base liquor of pisco, egg white, bitters and lime juice. I know what you’re thinking, egg whites in a cocktail? This is an essential ingredient of the Pisco Sour and although it doesn’t provide much flavour, instead it adds so much texture to the cocktail making it perfectly smooth and silky. We can guarantee that you won’t be able to drink just one, so be warned! Nobody knows how to relax and party like the Brazilian’s do. The drink of choice in Brazil is a delicious Caipirinha. Made with a Brazilian spirit known as cachaça, sugar, ice and squashed fresh limes. The lime juice is mixed in with the sugar creating the perfect blend of sweet and tart, all topped up with a lethal dose of cachaça, you’ll be partying like a real Brazilian after just one or two of these! Campari is a bitter Italian aperitif, with a bright red colour and unique flavour. A Campari has a strong bitter orange taste that is the base of many delicious cocktails, such as a Negroni or Campari and soda. Any visit to Italy at any time of year calls for a Campari. The green fairy. The devil in a green bottle. With so many names and a vast reputation, the French liquor Absinthe is one of the most alcoholic drinks in the world at around 80% (sometimes higher) alcohol content. Some even say absinthe is mind-altering and hallucinogenic, so much so that it’s illegal in some parts of the world. Legal now in France again after more than 100 years, this famous drink is a must try. How does that saying go? Absinthe makes the heart grow fonder? Close enough. Bia Hoi is one of the cheapest beers in the world, not to mention one of the most refreshing and flavourful! One Bia Hoi will cost 5,000 VND which is the equivalent to 25 cents (USD). Bia Hoi is a local street beer that is extremely light and refreshing in the humid Vietnamese climate. Bia Hoi is made every night in Hanoi and then delivered to several drinking establishments scattered around the old town and sold until the keg is empty. Bia Hoi is made without any preservatives and must be consumed within 24 hours of its production making it the freshest beer in the world. This Hanoi special makes for a great afternoon beverage while watching the many colourful scooters ride past. While visiting Japan be sure to enjoy a glass of Sake, a world famous alcoholic drink made of fermented rice. Widely considered as one of the oldest drinks in the world, Sake is an integral part of Japanese culture and history. Sake can be served either hot or cold depending on the type of Sake you’re drinking, and can taste noticeably different. The national beverage of Japan is often sipped from a small porcelain cup known as a sakazuki. The USA can lay claim to a number of very delicious beverages, with the wines from California, craft beers in New York and a host of others, but it’s hard to argue with how good American bourbon is. Bourbon is made from corn and obtains its distinctive flavour from being aged in wooden barrels. Served straight or on the rocks depending on taste. While most people have a negative association with tequila after a heaving night, I can guarantee that they haven’t been to Mexico. It wasn’t until I travelled to Mexico that I understood just how good tequila can be. If you don’t have the stomach to enjoy tequila straight, it’s always welcome in a good margarita! The Mojito is a classic Cuban cocktail that has exploded in popularity all over the world. A traditional Mojito is made from white rum, sugar, lime, soda water and fresh mint. The perfect blend of sweetness, citrus and mint all complement the rum making this a popular summer drink. Sangria is essentially a wine punch loaded with delicious fruit, but it is just so much more than that, for here in Spain it is a way of life. There is no real traditional recipe, as each place serves it’s own variation of a delicious Sangria. Perhaps you’ll need to do a sangria tour of Spain… you know, for research! A Caesar and Canada go hand in hand, quite literally. Okay so we know this sounds quite odd, but trust us on this one. If you don’t completely take our word for it, trust in the millions of Canadians who consume a Caesar as a stable part of their diet. So what exactly is a Caesar? Well, a Caesar is made with vodka, hot sauce, celery, lime and clamato (clam juice). Yep – and it doesn’t stop there! Typically, bars serve up Caesars with the most extraordinary garnishes, including bacon, grilled cheese sandwiches and even fried chicken. This drink certainly packs a punch and will put the boring Bloody Mary to shame as any self-respecting Canadian will undoubtedly remind you. There’s a famous Greek saying that “ouzo makes the spirit”, and all over Greece Ouzo is the spirit that reigns supreme. The anise-flavoured liquor is the national drink of Greece, and rightly so for its potent, fiery, taste. Similar to Greek coffee, ouzo is consumed straight and strong, so to avoid any judgements from locals skip any mixers and avoid using ouzo in a cocktail. Unlike the majority of the Western world, the Scottish don’t use the letter E in their spelling of Whisky, and they differentiate their whisky by ageing them strictly in oak barrels for a minimum of 3 years ensuring a distinctive flavour which is truly Scottish. Bottoms up laddy! Although originally imported from Holland in the 17th century, England and gin have had a rich and mixed history. The “Gin Craze” was a period during the 18th century when the consumption of gin rapidly increased throughout Britain. Today, gin is consumed in a multitude of ways, the possibilities are truly endless! Gin and Tonics are a particular favourite amongst the Brits. Russia. Vodka. Do we really need to say anymore? This is a drink that needs no introduction. Jamaica produces the widest variety of rum out of anywhere in the world. The island of Jamaica produces more than 50 million litres of rum each year. Is anyone else keen to book a flight? Guinness is an Irish dry stout and is one of the most consumed beers worldwide. Contrary to popular belief, the colour of Guinness is not black. It’s not even brown. If you hold your beer up to the light you’ll actually notice that it’s a deep, dark red. If you want an authentic Irish experience, head to your local and order yourself a pint of Guinness. You’ll be making friends in no time. Originating from the German word for swallow, Schnapps refers to any strong alcoholic drink, but it’s commonly known as a fruit flavoured spirit. This alcoholic beverage includes fruit brandies, herbal liqueurs and flavoured liqueurs (usually spices or fruit syrups). Widely consumed all over Germany, Austria, Switzerland and France, Schnapps is a must try for those visiting any of these countries, but our favourites come from Germany. Although it might be technically cheating by just saying “wine”, it’s true. South Africa has some of the finest wines anywhere in the world, and limiting yourself to just one seems rather silly. South Africa is three times the size of California and is home to an array of different landscapes, making it a perfect wine producing country. Some of the best wines to sample in South Africa include Pinotage, Pinot Noir, Merlot and Shiraz. When it comes to wine, the Kiwi’s don’t like to mess around and are one of the finest wine making countries in the world. While a lot of people think the only New Zealand wine is a Sauvignon Blanc, their true gem is the Pinot Noir. The most famous pinot region in NZ is the Central Otago and more recently Marlborough. New Zealand is fast becoming one of the major exporters of wine around the world with demand for New Zealand wine growing by the day. The Kiwi Pinot Noir is intense, fruit driven and elegant. If you could capture the feeling of Christmas in an alcoholic beverage, then it’s Becherovka. With a delicious combination of anise, cinnamon and a mixture of herbs, Becherovka is the Eastern European gem. Known to help aid digestion and typically consumed after an evening meal, be sure to Czech this one out! Soju. Never heard of it? Don’t worry you’re not alone. A huge portion of the Western world has never heard of Soju. Soju is a clear Korean spirit made from rice. But don’t be mistaken, its entirely different to Japan’s Sake. Similar in tasting to vodka, although much sweeter, Soju is actually one of the most popular and highly consumed spirits anywhere in the world. In fact, it’s estimated that an average Korean adult consumes 90 bottles a year! Anyone thinking of visiting Argentina will surely know how amazing their beef is, but what they might not know is that in Argentina it’s considered sacrilege to eat your steak while drinking beer. Argentina is one of the greatest producers of red wine in the world, famous for their Malbec grapes that grow in the Mendoza region that borders Chile, set against a backdrop of the Andes mountain range. The high altitudes that the Malbec grapes grow in Mendoza give them a distinctive flavour and is one of the finest splashes anywhere in the world. Mekhong is a golden spirit famously known as the “Spirit of Thailand” and will undoubtedly be widely consumed on any Thai island hopping trip or Full Moon Party. Although often thought to be a whiskey, it’s in fact more similar to rum. Mekhong is made up of 95% sugar cane and 5% rice. Easily consumed straight or mixed into any cocktail, the spirit of Thailand will surely have you partying in no time. The post Drink like a local! 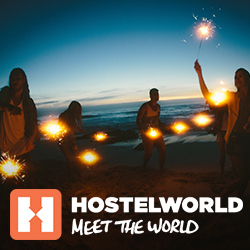 Your ultimate guide to international beverages appeared first on Hostelworld Blog.